I was especially interested in the lyrics and chords for Elegy. 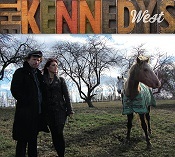 The only thing I can suggest is contacting The Kennedys on http://www.kennedysmusic.com/. “Elegy” is a fabulous song.